Elon Musk and his team have launched a Falcon 9 rocket – and successfully re-landed it – in what is being dubbed Space X’s comeback. The previous attempt saw an explosion destroy a rocket delivering supplies to the International Space Station. The rocket launched from Cape Canaveral at 8.33 pm EST. Following a smooth liftoff, the rocket has successfully delivered its payload of 11 Orbcomm satellites to their nominal orbits. Meanwhile the first stage of the rocket – the main booster designed to be potentially reusable – has gently touched down at Cape Canaveral Air Force Station, marking a huge milestone for SpaceX. The Falcon 9 is a newer version of the previous one, with more “thrust”, greater fuel capacities and built slightly taller than its predecessors. It is designed to transport satellites and a Dragon cargo spacecraft into orbit. The two-stage rocket was designed from the ground up, in an effort to make it more reliable than previous rockets. The launch was meant to take place on Sunday, but Musk changed it to Monday, explaining on Twitter that conditions on Monday would make a successful landing 10 percent more likely. 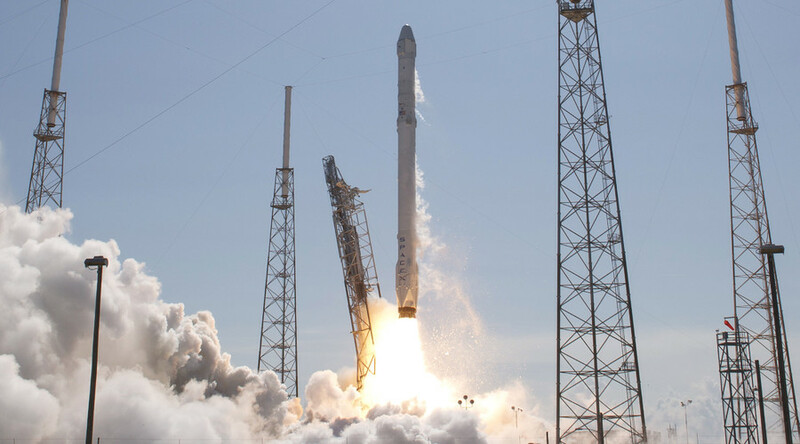 The Falcon 9 first delivered the Dragon to a rendezvous with the International Space Station in 2012, making history as the first commercial company to visit. Before that, only the European Space Agency, Japan, Russia and the US’s governments had done so. The company has failed to make a safe landing on its previous attempts. This is the first attempt to land on land. Previous efforts have taken place on barges at sea. Reusable rockets will play an important part in making space travel more affordable. “Reusability is the critical breakthrough needed in rocketry to take things to the next level,” Musk said at the MIT AeroAstro Centennial Symposium in October. The Falcon 9 has made three journeys to the space station, delivering goods for NASA. Musk’s vision is to deliver humans to space, and the Falcon and Dragon are designed with this in mind. Six months ago, the Falcon 9 exploded shortly after liftoff. After only two minutes and thirty seconds, it exploded, due to a strut failure. Before that, the Falcon 9 had one partially failed launch in 2012. One Falcon broke in mid-air during a test flight in 2014.